Posted on December 4, 2018 by gayle. 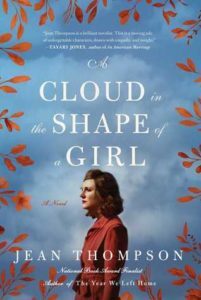 This entry was posted in Fiction and tagged a cloud in the shape of a girl, jean thompson. Bookmark the permalink. I really liked this one too! So depressing, but really captured the complicated issue of women’s roles in a marriage…and the inter-generational differences in expectations.